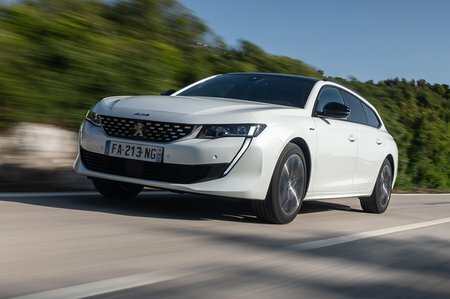 Peugeot 508 SW Performance, Engine, Ride, Handling | What Car? The estate gets the same line-up of engines as the saloon. That means, on the petrol side, there is the choice of 1.6-litre Puretech 180 and Puretech 225 engines. There are also three diesels: a 1.5-litre BlueHDi 130 and 2.0-litre BlueHDi 160 and 180 units. The 130 is the only one available with a manual gearbox; everything else gets an eight-speed automatic. A plug-in hybrid version will join the line-up in 2019. The 179bhp Puretech 180 is the pick of the range. It's smooth, responsive and a more spirited performer than the diesels, with the only disappointment being that it doesn't pull quite as well from low revs, so you have to work it harder. With a 221bhp output, the Puretech 225 brings a noticeable amount of extra oomph. It’s the quickest option in the line-up, but it's more expensive to buy and run than the lower-powered petrol. If you want diesel power, the 2.0 BlueHDi 160 is the best bet. It’s not a huge amount slower than the Puretech 180 but has a lot more torque, so it pulls harder from low revs – useful if you’re doing lots of load lugging in the estate. The 1.5 BlueHDi 130 feels underpowered to the point where you'll find overtaking or joining a motorway more stressful than it should be. We haven't yet driven the BlueHDi 180 in the 508 SW, but in the saloon it has plenty of oomph. All the engines are impressively refined, with the BlueHDi 130 being the only exception. Because it’s a bit down on power compared with the others, you have to work it harder more often, and it’s therefore a bit more vocal. Still, on the motorway the 508 SW is nice and hushed inside. You can, though, feel some vibrations through the pedals in the diesels. Adaptive suspension is standard on the petrols and an option on the BlueHDi 160 and 180 diesels, but it isn’t available with the BlueHDi 130. The adaptive suspension is linked to four driving modes: Eco, Sport, Comfort and Normal. 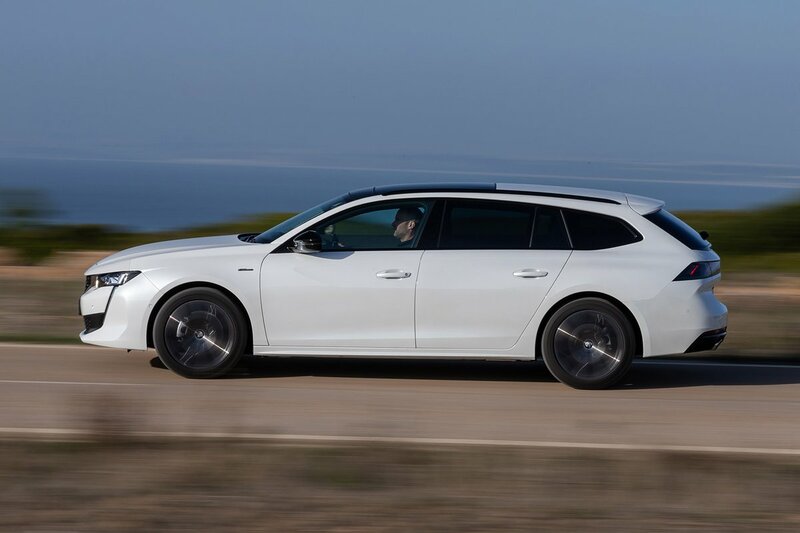 There's no discernible difference between the ride and handling characteristics of the estate compared with the saloon, so Comfort and Normal still tend to introduce a floating sensation over the crest of bumps at higher speeds, while Sport increases the steering weight and stiffens the dampers, but the differences are small. Regardless of the setting, the 508 SW fidgets over road imperfections at all speeds; the Skoda Superb Estate is far more forgiving. The upside of the 508 SW's firm set-up is that it resists body lean well in corners, in addition to gripping like a limpet. But it doesn't offer the steering precision of estate rivals such as the BMW 3 Series, Mazda 6 and Ford Mondeo, so you end up sawing at the wheel quite a bit. The automatic gearbox can be hesitant around town (not helped by an intrusive engine stop-start system) but is otherwise impressively smooth and quick in its operation. By contrast, the six-speed manual that's standard with the 1.5-litre diesel is disappointing, with a long, notchy action.